Nokia 7250 has many features of its predecessor – Nokia 7210, but it is the first phone of this class, which has a built-in camera. Many consider it to be a copy of Nokia 7210, but it is not so. Nokia 7250 has small dimensions (105 x 44 x 19 mm) and weighs 92 grams. It is the largest phone, which is based on platform 40, except Nokia 5100. The phone is handy, it can be worn in both pockets and a hostel. If to say about colors, the handset is made in pale colors. It is not as bright as Nokia 7210. 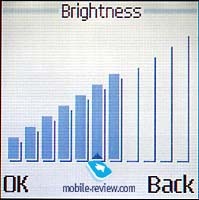 Phone’s silhouette is underlined by black lines, which are drawn on both sides of the handset. Several standard colors of the phone are available, besides, one can purchase interchangeable colors, which can be easily changed. One more time designers changed keys spacing of the phone. Nokia 7250 has an absolutely new shape of keypad, which is very ergonomic. It is one of the most convenient keypads that Nokia has. All alphanumerical keys are made of plastic and they are very pleasant to touch. Navigation key and soft-key are also very comfortable. At first sight it seemed that 4-directional navigation key, which had three united directions, was not very comfortable, but in reality we didn’t make mistakes while using it. 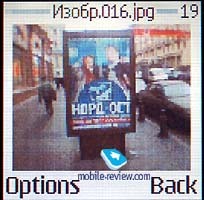 A phone screen shows up to 4096 colors and has a resolution of 128х128 pixels. 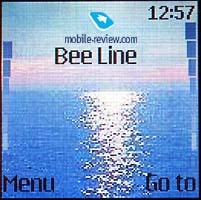 In most menus 5 text lines and 1 service line are displayed. When you create messages, due to scaling, you can see up to 8 lines and 2 service lines on the screen. 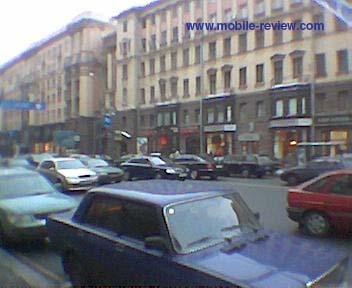 The screen, which is used in Nokia 7250 is typical for the platform 40 (Nokia 6610/7210/6100), but it looks nicer than screens of the mentioned models. The reason is new pre-default settings of brightness and sharpness. For example, originally this screen has a high brightness and contrast, what improves picture quality and makes it more vivid. We can remind you that users of the phones from Nokia can adjust only brightness; contrast level is not changeable. If you view settings of brightness, you can see that standard value is rather high, but there is a possibility to increase it, though in most case it won’t be demanded. A wide diapason in response to this parameter is an advantage of this model. Pop-port slot is located on the bottom of the phone, on the upper part of the handset you can see a power on/off key and IrDa-port. 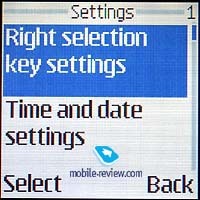 A double volume key is situated on the left hand side of the phone, it is similar to that one, which was in Nokia 7210. As for me, this key is rather tight. The main enhancement of the model is a lens placed on the rear part of the phone. The lens is covered with transparent plastic, which, unfortunately, becomes dirty very quickly, when you use the phone. It is possible to clean it from time to time and not be afraid that you damage a lens. Other camera features will be described below. The phone is equipped with lithium-ion battery of 720 mAh capacity (BLD-3). According to the manufacturer, the phone can work about 300 hours in the stand-by mode and up to 5 hours in the talking mode. In reality it could work about 5 days in case of 40 minutes of talking and 40 minutes of using other applications (MMS, camera, games). Time of full re-charging is about 1.5 hour. 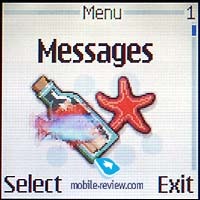 Nokia 7250 has a typical menu structure for the phones from Nokia. Icons of the main menu were changed; they became more interesting in the new model. A shortcut number navigation is available. Totally, there are 14 menu items in the main menu and we think that it is easier and quicker to use shortcut number navigation than list these items to reach a desired menu. For the first time, such long menu appeared in Nokia 7210, its predecessors didn’t have it. Probably, designs understood that long list was not very convenient and they added a possibility to assign any menu item or function to right soft key in Nokia 7250. If this menu has only one item, it is called immediately; but if it is consist of several items, the user will see a list of these items. One can select not only necessary menu items, but also sort their order. We are not going to describe all phone features, they are fully described in review Nokia 7210. here we’ll mention only the main differences of these phones and new features. Phonebook. Now you can not only add several fields to one entry but assign a photo to each name. 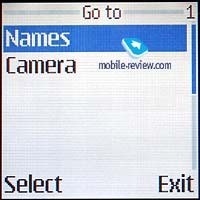 A caller name, its phone number and a small photo will be displayed on the screen while incoming call. This feature is not supported in current version of firmware, but it would be added later. Messages. All features are traditional here. We should notice that you could add only one picture to MMS-message. It’s a gross limitation, which is not defined by message size. For example, you can input up to 1000 characters as a text, what sometimes is not necessary. Camera. To turn on a camera press scroll-up button in the stand-by mode. 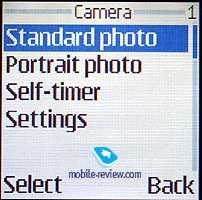 A standard camera mode is activated by default. 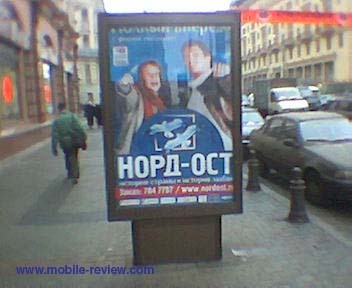 But you can also switch to a portrait mode (80х96 pixels). 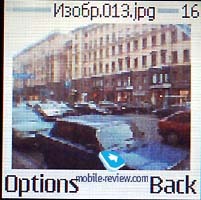 The differences of these modes is the following: in the standard mode you receive a full-screen picture, and in the second mode it is reduced across. Quality of the picture depends only on general settings. 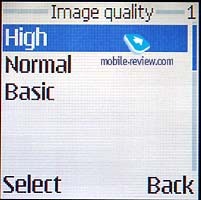 Totally three images qualities are available in the phone: base, standard and high (the resolution is 352х288 pixels). 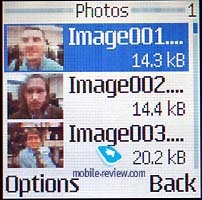 Photos of the high quality occupy about 15-21 Kb of memory, but in reality quality of these pictures is far from ideal. I can say once again that integrated digital cameras are aimed only to view taken pictures on the phones screens, which have a low resolution. Such photos look not very attractive on PCs. 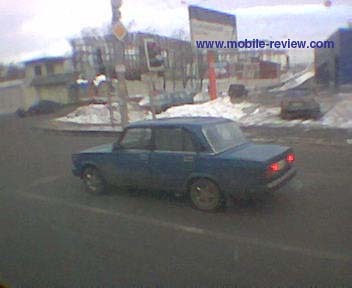 So, photos taken by the camera, which is built-in Nokia 7250, can be viewed only on the phone. The phone has a memory pool of 4 Mb. It can be shared between many applications, so, theoretically, you can save up to 180 photos of high quality and 400 photos of standard quality. It’s not difficult to count that you can also store more than 400 images of base quality. Memory pool of this phone is compared only to Nokia 6800. Standard delivery kit includes also Nokia data Suite, which allows to send shots to PC. Today this software is not available, it would go on sale only in March. 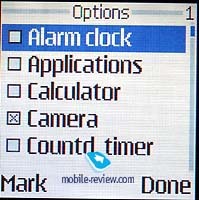 Despite of availability of external camera from Nokia, software for synchronization is also not available. One can send images to PC only with a help of MMs-messages. 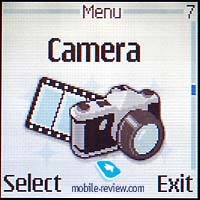 Below you can see several images which were taken by the integrated phone camera. 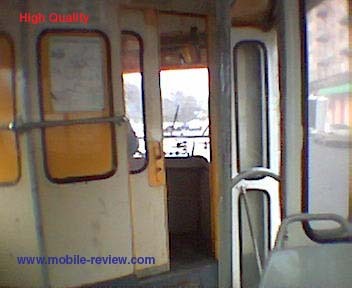 Their quality is worse than, for example, quality of pictures, taken by the camera built-in Nokia 7650. 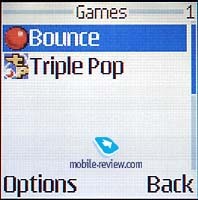 Among other features it is necessary to say about Java-applications: Converter II and games (Bounce, Triple Pop). 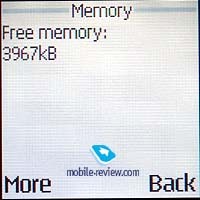 In the contrast to Nokia 7210, large amount of free memory space enables to install many applications in the phone. Under Extra you can find a stopwatch timer, countdown timer, calculator and Wallet-function, also settings of SyncML are available. 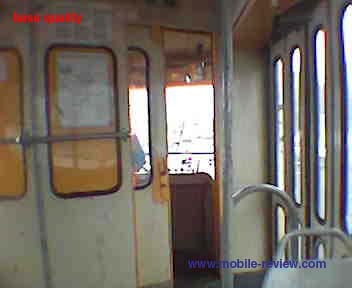 Reception quality and volume of the loudspeaker are comparable to Nokia 7210. Sound is vivid, volume sometimes is more than sufficient. 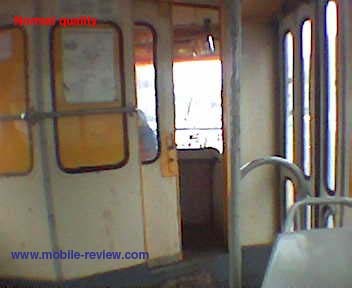 There is a handsfree mode in the phone; in this case volume of the loudspeaker is average. You can use it only in quiet places. Nokia 7250 has 4-tones polyphonic ringing tones and supports 43 instruments. 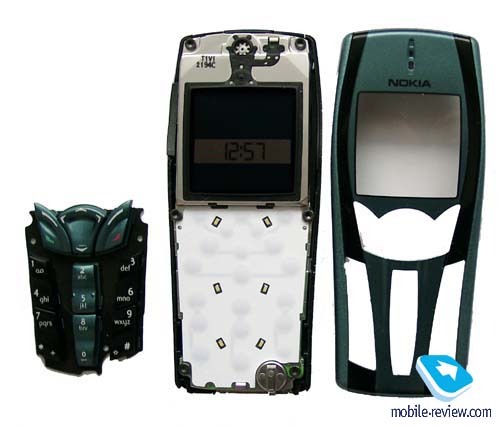 It is similar to Nokia 3510. The volume of the ringer is also average, it can be not always heard. Here you can listen to polyphonic melodies of the phone. Vibrating alert is better than in other models, it is felt almost everywhere. The phone’s advantages are a possibility to create own menu, bright screen, handy keypad and ergonomics. Generally speaking it is a successful model, if not to take into account quality of the pictures taken by integrated camera. A possibility to assign a photo is also very pleasing. The other advantage is 4MB available free memory space. So, Nokia 7250 is the most advanced phones based on platform 40. It is expected that it would go on sale in the middle of March and its retail price would be about 400-550 USD.